Unfettered: Lacking health insurance and diagnosed with Hodgkin’s lymphoma in 2011, Shawn quickly accrued a massive medical debt that he did not have the ability to pay. That’s when New York Times best-selling author Terry Brooks offered to donate a short story Shawn could sell toward alleviating those bills – and suggested Shawn ask the same of his other friends. 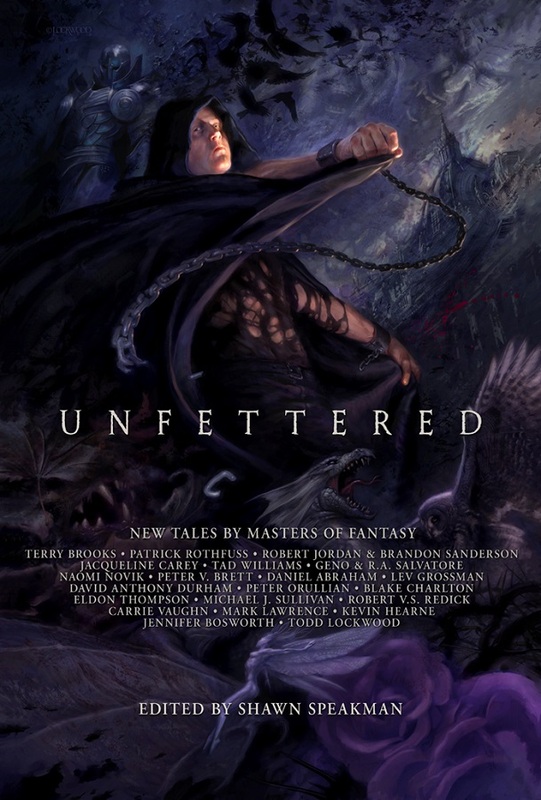 The first Unfettered anthology was the result, an anthology unfettered by story theme restrictions, featuring short fiction works by some of the best fantasy writers in the genre – many of which were set in those authors’ popular series universes. It paid off more than $200,000 in medical bills. 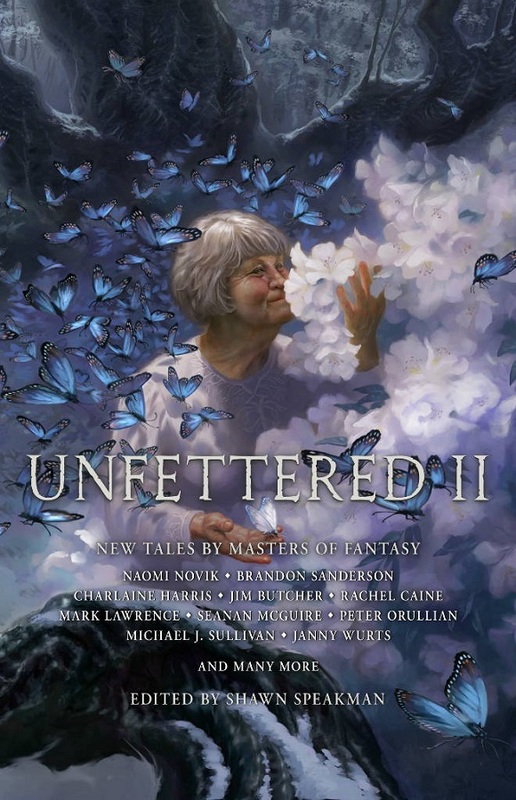 Unfettered II: In an effort to pay forward the aid he received – and to memorialize his mother who passed away from stomach cancer in early 2016 – Speakman again collaborated with celebrated genre authors to publish Unfettered II. All proceeds from the anthology went to help eliminate medical debt for other authors or be donated to cancer research hubs around the world. 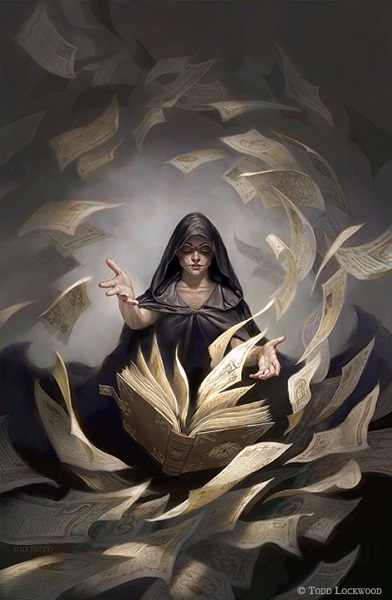 To date, the project has given approximately $24,000 from Unfettered and Unfettered II, two large donations to two fantasy authors in need of funds for medical debt and hospice care and around $10,000 in donations to cancer research. Once the applied-for 501c3 charitable organization status is approved, they will be able to disburse more funds to needy authors and artists, without having to pay taxes on them. 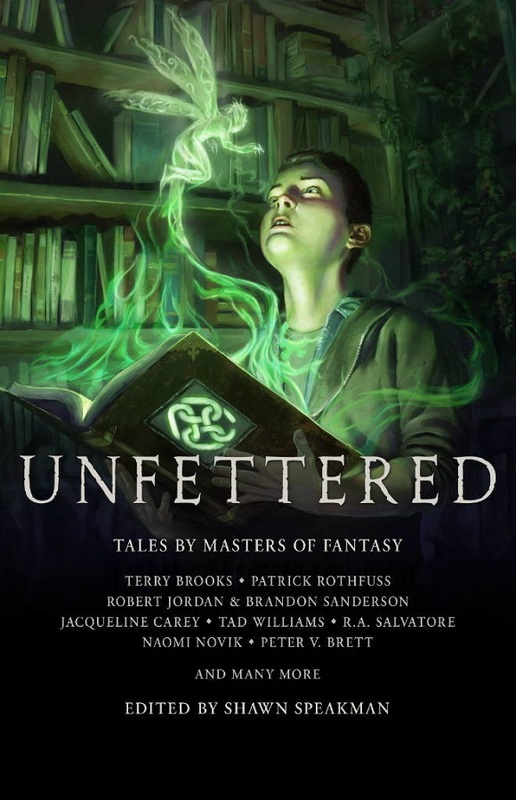 The list of authors to be included in Unfettered III is full of well-known names, and the book will be available as a hardcover ARC signed by at least six contributors (250 copies only, available January 15), a trade hardcover and an ebook (both available March 19), and a numbered hardcover edition signed by all contributors (available May 14). Preorders can be made now from the link below. As some of you know, during the revision process of A Memory of Light, two lengthy sections ended up on the cutting room floor. 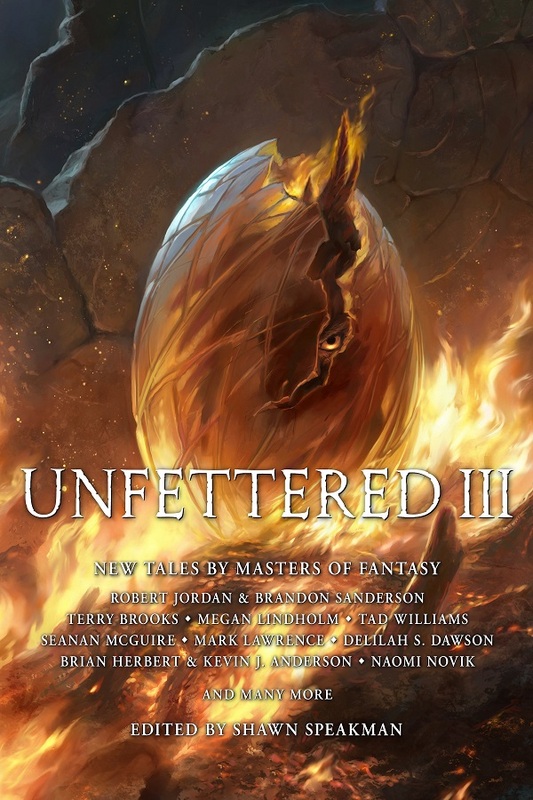 The first, which we titled River of Souls, was included in the first Unfettered Anthology. The second, I assumed, would never see the light of day. However, Grim Oak Press (and Shawn Speakman, who runs it) has continued the Unfettered anthologies – the income of which is used to help pay medical fees for authors and artists in need. I thought the arrival of the third anthology would be a great chance to use this other deleted scene. 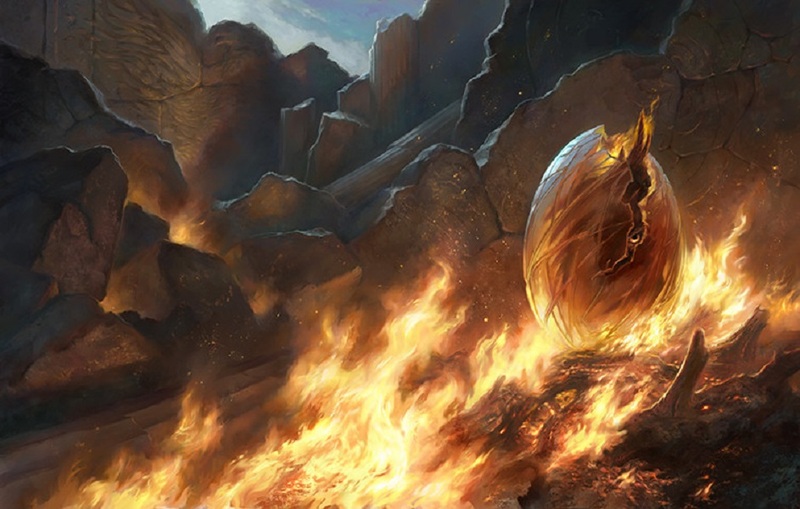 (Which involves Perrin traveling into the Ways.) Harriet has graciously agreed to let it be published, so I’m thrilled to be able to announce its inclusion in the anthology. The earlier Unfettered anthologies are still available in trade, e-book, and special editions; the first one has been reissued in a second edition which features a new cover and contains an extra story. Purchasing any of these anthologies directly from the Grim Oak Press site allows more of the money to go to the charitable fund – however, Speakman is happy for readers to purchase at any of the usual retail sites. 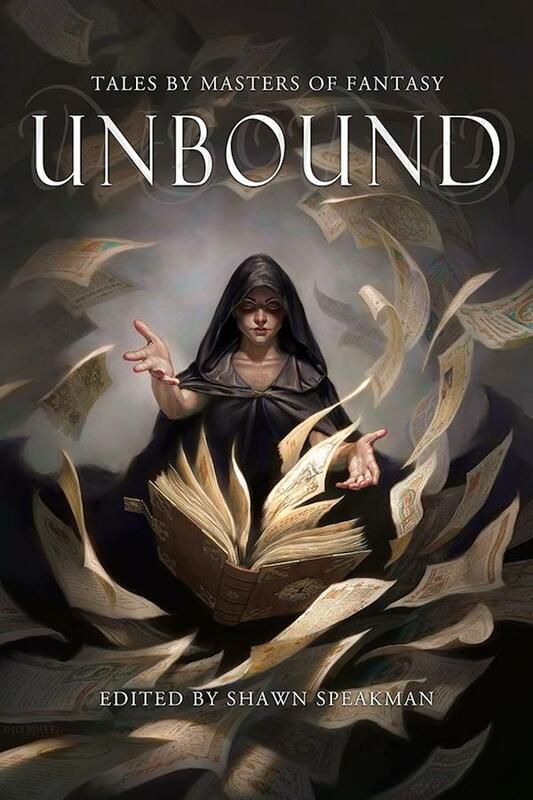 Unfettered launched Grim Oak Press, a brand new SF&F publishing press with the big dream of helping others. It has grown ever since. After five years, Grim Oak Press spawned the non-profit Grim Oak Shield, both businesses working hand-in-hand to defeat medical debt for authors and artists in need. 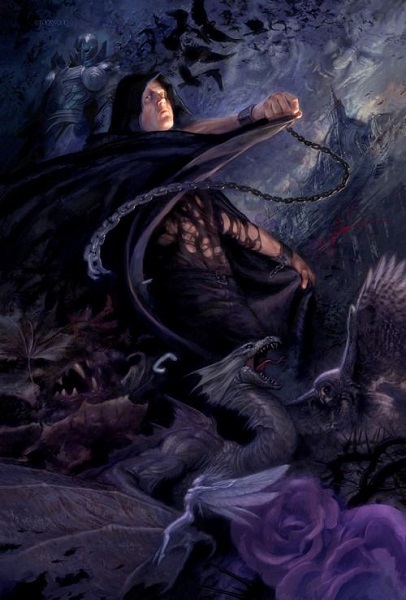 Such notable authors as Terry Brooks, Naomi Novik, Jacqueline Carey, Stephen R. Donaldson, Raymond E. Feist, and Janny Wurts support that mission and in 2018 Grim Oak Press will publish beautiful, limited editions of their books. Each project we take on has its own life and style. 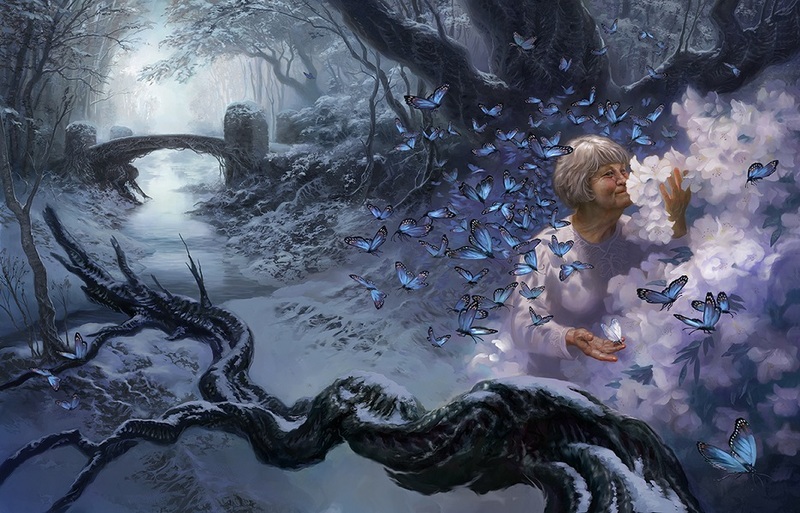 We try to match the best artists in SF&F with the story to make a perfect match. We work directly with the authors and artists, giving them a creative freedom to re-envision their worlds like never before. 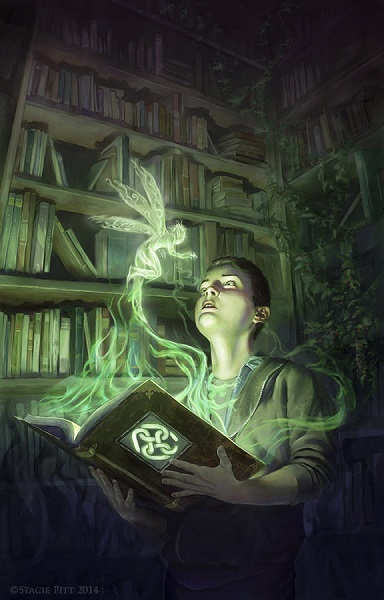 New wrap around cover art, new interiors, and full color foldouts make these books extremely unique. We also use the best materials around. Each book is printed on extremely high quality paper, cloth bound and leather wrapped, making them feel just as good in your hands as they look on your shelves. Details in the design and layout, sewn in ribbons, cover stamps, and many other fine touches are how we separate ourselves from other small publishing presses. It is a magical time for those who love SF&F. Thank you to all who purchase books from Grim Oak Press. We will continue producing them as long as you enjoy placing them on your shelves.